Wireless fencing becomes accessible to everyone with the Epee Hitmate! 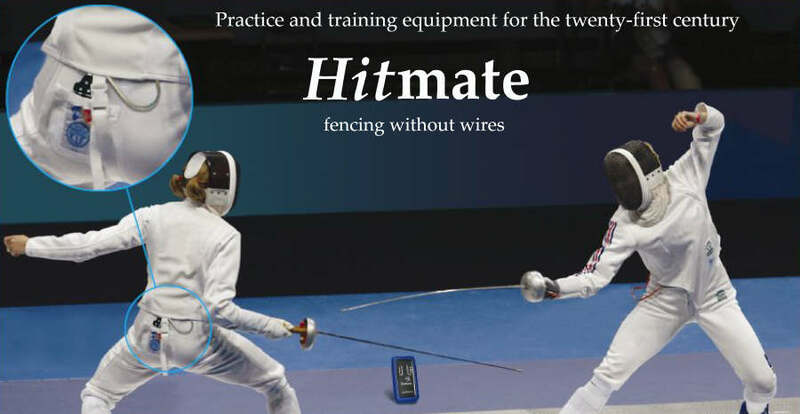 Epee Hitmate brings fencing practice right up-to-date, replacing wires and spools by using radio. This saves weight and saves money. 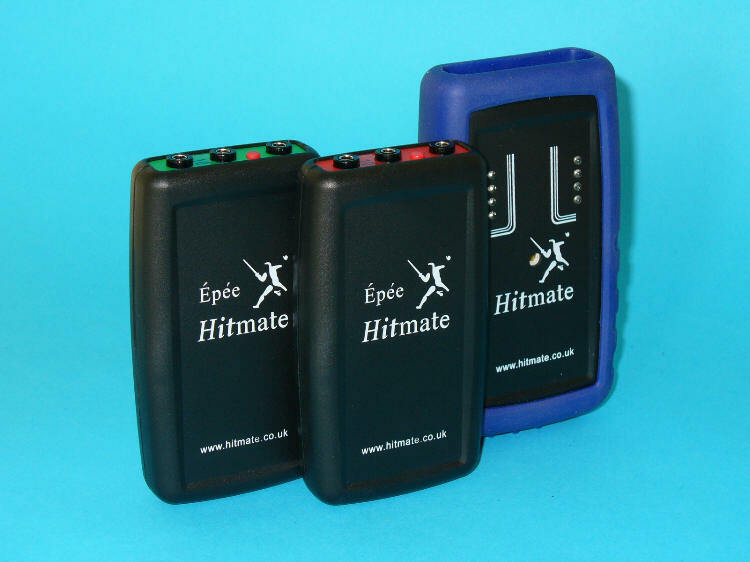 An Epee Hitmate set consists of two transmitter units and one receiver. 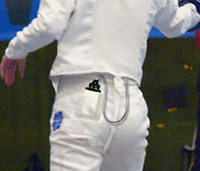 Each fencer plugs their weapon into a transmitter unit which can then be put into the breeches pocket. The floor-standing receiver Console is placed on the floor or on a bench. The Console listens to radio signals from the Hitmate units and flashes red or green score lights whenever a hit is made. There's also an audible signal. Hitmate detects hits to an opponent's guard and inhibits the score lights. For near-simultaneous hits occurring within one twenty-fifth of a second, the Console resolves the timing and displays Red, Green or both score lights to announce the result. The Console receiver has a range up to 15 metres, and the extra-high-brightness LED indicators can be easily seen at a distance in daylight conditions. Each Hitmate set is identified with a preset operating code. This allows independent use of several Epee Hitmate sets in any fencing salle. Epee Hitmate: Available NOW ! Price includes VAT at 20% for customers in the UK or EU. Price includes export packing and insurance for destinations outside the EU. Shipping is free worldwide at this price. Card payments are handled securely by Paypal. A Paypal account is not necessary.